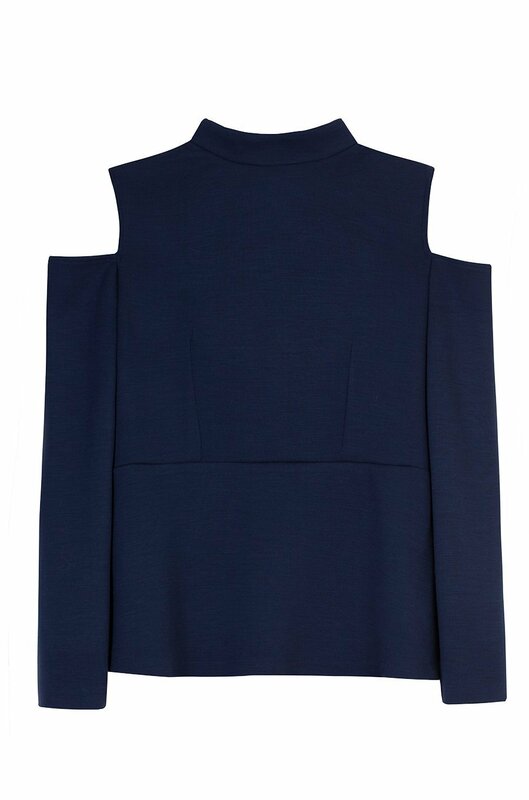 This cut out shoulder long sleeve piece is made from soft- wool blended fabric. 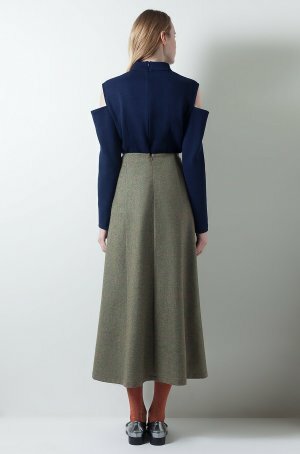 It has a high neckline and a central seam that brings the waist in slighlty. 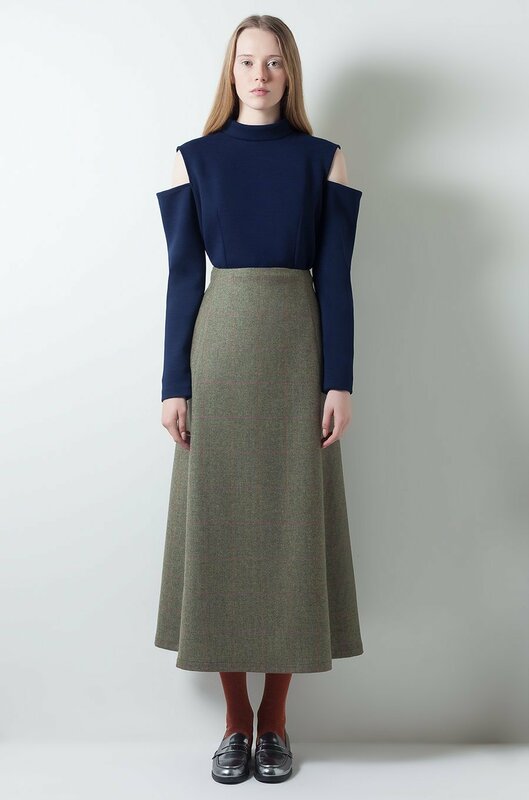 Complete the look with our PLAID FLARED SKIRT and flat shoes.